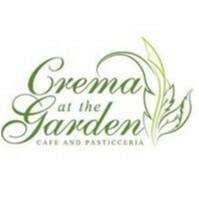 Crema at the Garden joined our Mission to help provide access to “Clean Water for All by 2030”. This Mission was initiated by the United Nations. A big thank you to Crema at the Garden’s team and customers for joining this extremely important mission on 02 May 2018. Crema at the garden, a cafe/ pasticceria which is part of the oasis in the CBD that is the Wintergarden. We are a family owned business that strives to achieve the best quality possible in both service and product. Boasting a wide range of delicious cakes and sweets from some of the most popular suppliers including Pasticceria PAPA and LUXE bakery, you will be sure to find an enticing treat to indulge in, take home, or for your next office meeting and event. Focusing on quality coffee making, with years of experience under our belt, Crema at the Garden always stands out from the rest! But we aren't just about sweets and coffees! we also serve a vast range of breakfast, lunch and catering options. So come down and see what all the hype is about!